Thank you to our Seniors and all the best in your future endeavors! Varsity – Voted on by the players. 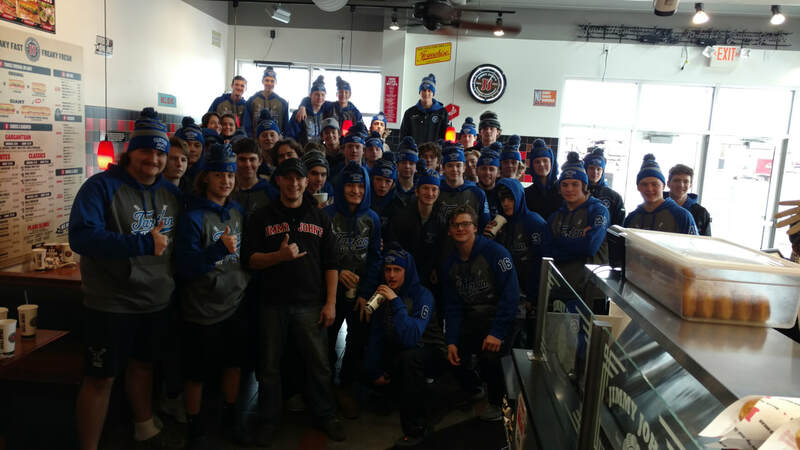 Tartan Boys & Mgr Noah from Jimmy Johns. Our Captains on Mite Night with TAYHA. Our Super Fans!!! MS. Nancy Rassier and MS. Cheryl Johnson. Our Tartan program can not thank you enough ladies!!! No, these are not Weekend Warriors, but the great Alumni back for another kick at the can. MUCH appreciation to all Alumni who came out, Team White with a 19-13 victory over team Blue. Team Kulevich - "White Line"
Team Schwankl - "Toothless Wonders"